East London Lea Valley site of the 2012 Olympic Games village and arena, Stratford, England 2007. Waterden Road London E15. 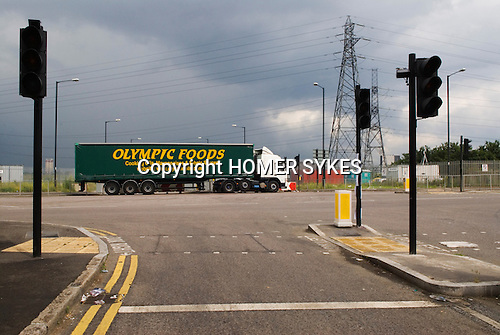 Olympic Foods lorry.